NewYork-Presbyterian, a prominent academic health system, is working with machine learning vendor Splunk to develop new data analytics tools that prevent the potential diversion of controlled substances such as opioids. NewYork-Presbyterian approached Splunk to develop the controlled substance monitoring platform, while also enhancing patient privacy, because of the vendor’s products’ ability to synthesize Big Data analytics with a massive volume and a variety of data from hundreds of clinical applications, systems and data sources, the health system said. 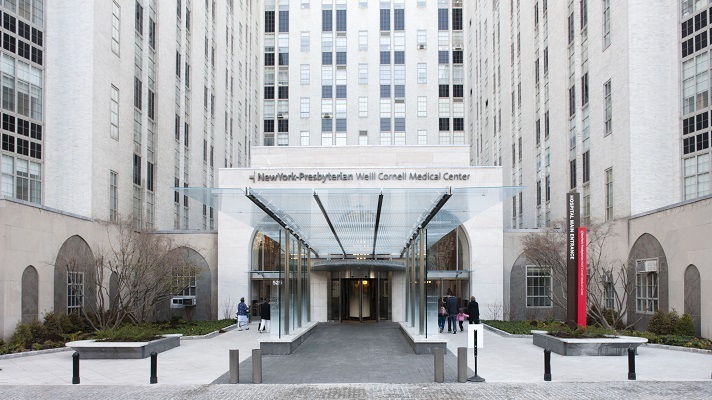 NewYork-Presbyterian, which currently uses Splunk Enterprise and Splunk Enterprise Security to monitor IT security operations, concluded that the same principles could be used to build a platform to more closely safeguard controlled substances and other medications, including opioids, and ultimately benefit the greater healthcare community as a public good, the health system said. The enhanced Splunk controlled substance monitoring platform, which is expected to be implemented this spring, will enable NewYork-Presbyterian to track data from electronic health records, EPCS platforms, pharmacy dispensing systems and other sources, delivering insights that can help guard against the diversion of these medications. With the enhanced system, NewYork-Presbyterian will be able to see if drugs are being diverted for potentially illegitimate purposes, according to Splunk. For example, the platform will immediately alert NewYork-Presbyterian if a physician were to prescribe a controlled substance to a patient not currently in the care of the hospital, or if a pharmacy technician were to use an automated dispensary cabinet more often than his or her peers. In addition, the technology will be used to safeguard against the diversion of other high-cost medications, such as certain anti-cancer drugs that can be priced at tens of thousands of dollars per month, the vendor added. “At a time when overdose deaths are at crisis levels across the country and in New York City, largely due to the opioid epidemic, healthcare providers have a responsibility to safeguard against any potential diversion of drugs,” said Jennings Aske, senior vice president and chief information security officer at NewYork-Presbyterian. "At a time when overdose deaths are at crisis levels across the country and in New York City, largely due to the opioid epidemic, healthcare providers have a responsibility to safeguard against any potential diversion of drugs." NewYork-Presbyterian and Splunk also are developing an enhanced data analytics tool to expand proactive security measures to protect patient privacy and investigate unauthorized access to electronic patient records from internal and external sources. NewYork-Presbyterian currently has an established set of policies, protocols and system controls to protect patient information. The enhanced privacy platform will add even more safeguards, including the ability to issue alerts in real time if someone were to inappropriately view patient records, according to Splunk, which notes that the platform has a user-friendly dashboard so hospital privacy officers can easily and quickly conduct investigations.